Anybody who runs their own business knows how important it is to ensure the safety of their customers and employees. Avoiding property hazards isn’t simply a legal responsibility, it’s just good for business! Understandably, it’s easy to get overwhelmed with responsibilities as a business owner, which is why it’s extremely important to partner with a commercial snow removal company you can count on to quickly remove dangerous snow and ice. What are the advantages of choosing the right snow removal service? 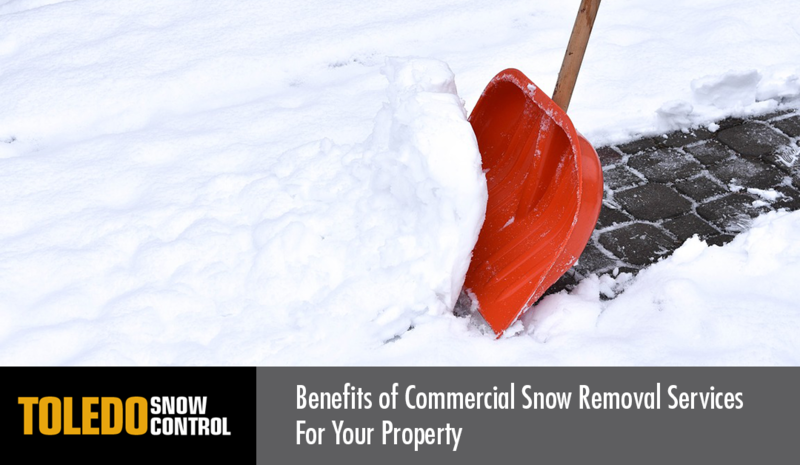 Immediate Results – The key element that sets any commercial snow removal company above the rest, particularly when it comes to snow and ice, is a prompt response. An experienced snow removal service will utilize advanced weather tracking capabilities to predict storms and are ready to mobilize at any moment to clear your property fast. Reduced Liability – ‘Slip and fall’ and automobile accidents are a leading source of lawsuits in Ohio. In most states, property owners are legally liable for ensuring the safety of any individual on their property. Since these types of accidents are often caused by snow and ice, responsible property owners can avoid huge costs and hassles by making a conscious effort to keep their property free of slippery surfaces! Less Downtime & More Customers – Despite major snow storms and cold weather being a regular occurrence, it never becomes less jarring and inconvenient when Mother Nature decides to deliver the worst she has to offer. Whether you operate a storefront, a manufacturing facility, or even a school or office building – heavy snowfall can hinder traffic to and from your property, causing endless hiccups. Choosing a snow and ice removal service with a quick and reliable response can prevent your operations from slowing down or a customer from choosing another business because of parking lot hassles.